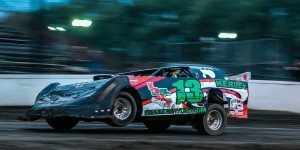 2019 Super Late Model Rulebook – Sycamore Speedway : Midwest's Best Clay Track! 2. We require all drivers, for Dirt Late Model (fka 4-Bar), SLM, Street Stock (fka. Late Model), Pure Stock, & any visiting class to wear a flame resistant driving suit, a two piece suit is ok. Closed toed shoes & gloves. A Snell approved helmet with face shield, no Motocross helmets or snowmobile helmet allowed. For Spectator, Powder Puff, Socker Stocker & Compact Combat at minimum, long sleeves, long pants, gloves and closed toed shoes and a Snell approved helmet with face shield are REQUIRED. 1. Dirt Late Models (f.k.a. 4-Bar), Super Late Models, Street Stock (f.k.a. Late Models), Pure Stock, all must be equipped with welded cage types. ROLL CAGES WELDED TO THE FRAME OF THE CAR. Bars must pass inspection of the tech steward. Suggested specs for roll bars are: wall thickness; .095. Outside diameter; 1-1/2”. No pipe joints; bars must be welded and angle joints reinforced. No galvanized pipe. DOM type tubing is recommended. The general rules for the Sycamore Speedway apply to the Super Late Model Class. Please read above. 1. Open to 1965 through 2018 models. No trucks or jeeps. 2. Open to American made sedans and hardtops. No convertibles. 3. Any General Motors, Ford, Chrysler, etc. may compete and look presentable. 1. Car must weigh a minimum of 2400lbs. with driver after the race. 2. Weights up to 50 lbs must be securely fastened by 2 ½ inch, minimum grade 5 bolts with a minimum of 2 weight clamps. Threaded rods will not be permitted. All weights must be painted white and clearly labeled with the car number on it. 3. Any weight(s) must be securely attached to the frame below the body decking. 4. Any car that loses any weight/ballast during an event may be subject to a penalty. If you lose your weight and it’s not marked with your number, you do not get it back. 5. Weights attached to the rear bumper and/or outside the frame will not be permitted. 6. Weight(s) mounted to any suspension or axle will not be permitted. 1. All cars must be STOCK appearing, full bodies, neat and clean. Badly mutilated, damaged or unsightly cars are not permitted. NO Corvette Bodies. Bodies may be the same as a Dirt Late Model formerly known as 4 Bar. 2. Trunk decks need to be solid. 3. Hoods must remain in original locked position and closed. All hoods must have positive fastener. Shock cord recommended. No car permitted to start race without a hood unless given special permission by tech steward. 4. Filler disk in steering wheel recommended (i.e. AFCO). 5. Any type of bracing for protection, front or back, will be permitted as long as it is not visible. Outside bracing permitted as long as it is no more than one inch above bumperettes or no higher than the lip of the hood or trunk lid. Rub-rails between wheels permitted if flush with body and no larger than 1 x 1-1/2″ rectangular tube (NO SHARP EDGES!). Must remain inside wheelbase and tire tread and be painted color of car. All front bracing must be behind the nose, 1/8” thick by 2” wide strap steel may be used to hold nose to inner bracing. 6. Body must extend beyond wheels and tires. 7. Firewall may be altered if put back in safe condition. 8. Mandatory full-size roof. Roof must be centered on car. Must look O.E.M. 9. Exposed cable or chain on front of car for towing purposes. 11. Rear spoiler maximum height 8” x 72” long. Side panels 8” high in rear, 4 ½” in front, no longer than 18”. 1. Full windshield screen recommended. What is MANDATORY is a minimum of 3 additional roll bars must be mounted in front of the driver. No EXCEPTIONS. No TOLERANCE. 1. Engine must be stock appearing. A maximum of 25 ½” inches from the center of the right front upper ball joint to the back of the engine block will be used for engine location. This will be measured with a go-no-go gauge. NO TOLERANCE. 2. Engine and transmission may be interchanged with other makes, Chevy in Ford etc. 3. Engine must be stock appearing. No dry-sump engines allowed. No external oil pumps allowed. 4. Crankshaft height – no lower than nine inches from ground (measured from center bolt). 5. No aluminum engines – OEM or otherwise. 1. 390 CFM Holley. Will be checked with Carburetor Test Gauge Kit 7861. 1. Any type ignition system. 2. No computerized triggering systems, MUST HAVE DISTRIBUTOR. 3. Any tachometer allowed except for those with timing control ability. YOU MAY BE REQUIRED TO UNPLUG YOUR TACH. 4. No manual timing control systems. 5. All cars must be equipped with self-starter in working order. 1. Clutch assembly must be fastened to the back of the motor & be inside a scatter shield. 2. Transmissions (i.e. Bert, Brinn, etc.,) are permissible. 3. Rear axle assemblies allowed that are safe for racing. Rear ends – 2 suspension setups only, three bar or multiple leaf. i. Three bar car – solid mounted. Birdcages allowed but must be pinned solid. No swing arms. No spring rod or rubber controller on top bar. Both springs and/or shocks must be mounted in front of rear axle, on top of axle or behind axle. No staggering permitted. Three bar car consists of 2 lower links mounted to the rear axle or birdcage, forward facing along with 1 upper link attached to axle-forward facing toward front of the car. NOTE: Any variation to the facing or mounting of the 3-link bars will have to be approved by the track; a penalty may be assessed of 100lb weight addition mounted in front of the mid plate of the bell housing. ii. Leaf car – leafs can be steel or fiberglass and you are allowed two shocks on top. NOTE: Leaf spring cars running stock stub may run a birdcage on right rear only. 4. Quick change may be used; full locked type only-no anti-slips. NOTE: LOCKED means both wheels must turn same direction only. Must have spool inside rear end. 5. No added traction bar assemblies such as Reese-type or fifth spring, etc. Stabilizers must be rigid, no rubber units or telescoping. 6. All springs must be metal with the exception of leaf springs. 7. No cushion drive plates on rear axle hubs. 1. Stock-Any chassis welded to Camaro stub 48” long with stock lower control arms. 1. Steering rack and pinion or stock allowed (quick steering allowed on stock style only). Power steering recommended. 1. Fuel cells mandatory. Rollover valve required on vent tube. If you purchase new fuel cell make sure it has a rollover valve on vent tube. Fuel cells must be mounted behind rear axle between rear tires, a minimum 4” ahead of the rear bumper. 2. Recommended to have additional bar above rear bumper across rear of fuel cell. 3. Fuel pumps mechanical only. No electrical fuel pumps. 1. Heavy duty shocks permissible. Adjustable shocks allowed but cannot be changed from cockpit. 1. We recommend pipes extend beyond the driver to the outer edge of the car or to the rear. Pipes must extend out of the engine compartment. 2. Any headers. Mufflers recommended. 1. Radiator must be mounted in front of motor. No anti-freeze. 2. Discharge from over flow tube must be pointed to the ground. 2. Safety wheels recommended. All wheels must be painted WHITE or be LIGHT COLORED. 3. Steel rims and wheels recommended. Bead locks allowed. 1. Tires must be purchased from Sycamore Speedway only. NO WARRANTIES. 2. No grooving or altering of tire. Grinding permissible. A. 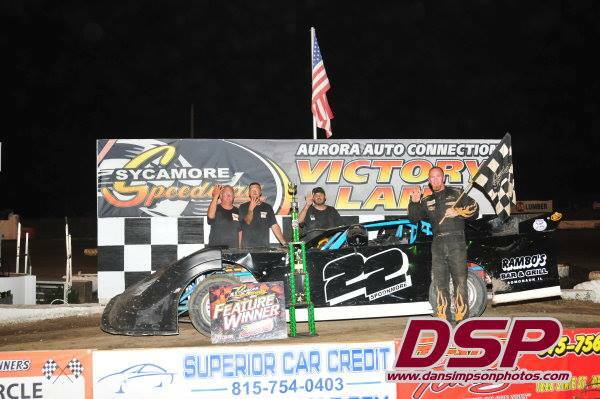 Eligibility – Must compete in 90% of races at Sycamore Speedway. No point money if you race at another track on a night that Sycamore Speedway is racing. Super Late Model point fund will be $3000. All payouts & point fund payments are paid to car owner. MUST meet point fund qualifications to be eligible for any points or bonus money. All money paid at end of season. B. Points will follow driver & car meaning if you are driving more than one car in the same season you will have points as a driver for each car that you run. Before any payout will be paid the driver and/or car owner, whoever will be receiving the 1099 for the season, must complete a W9. C.	Last Year’s Point Champions return money – 1st $100, 2nd $75, 3rd $50, 4th & 5th $25.